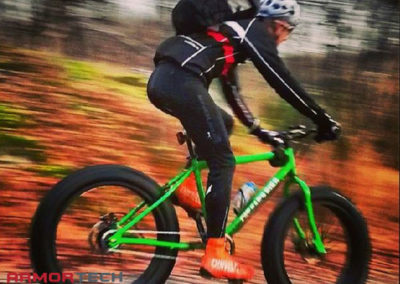 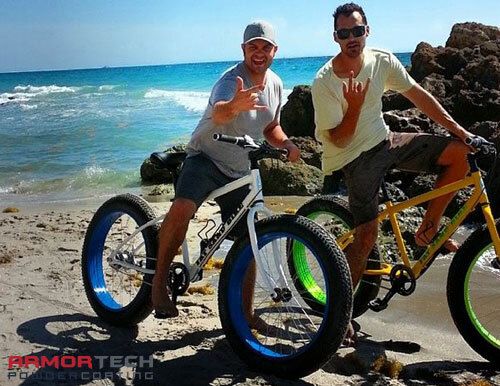 Armor Tech can custom powder coat your bicycle frame and forks at great prices. 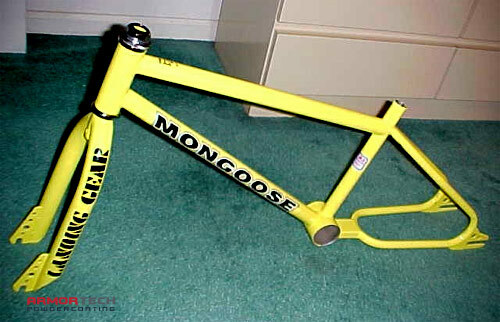 Each bicycle frame is carefully sandblasted to remove old paint and corrosion. Your bicycle frame is then cured in our oven which produces an extremely hard durable powder coat that will remain bright and crisp for years to come, and it’s much more durable than painting a bicycle! 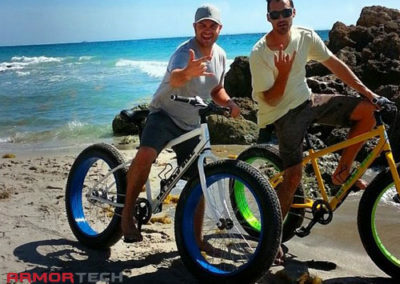 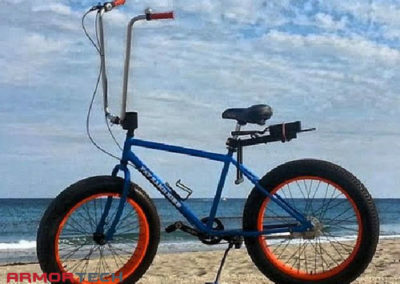 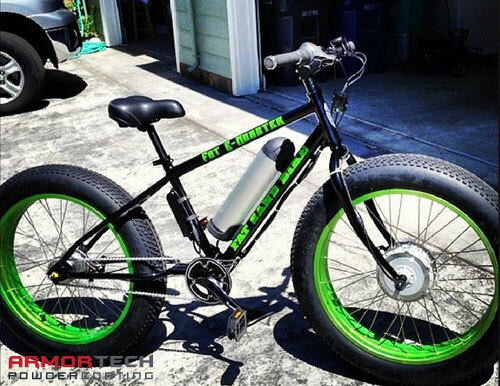 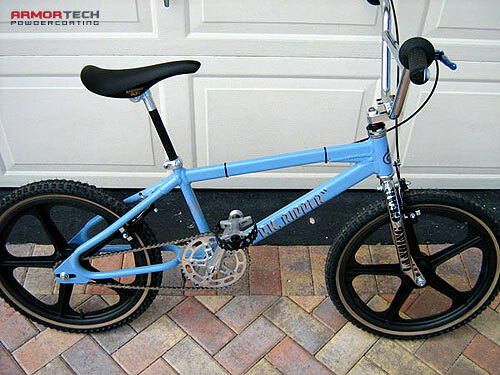 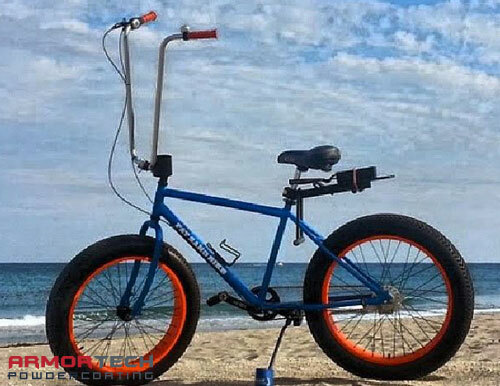 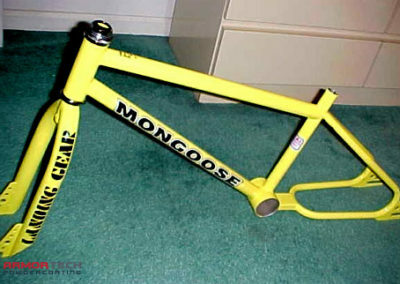 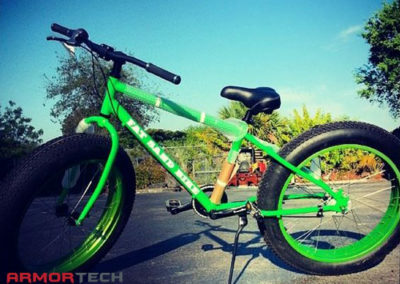 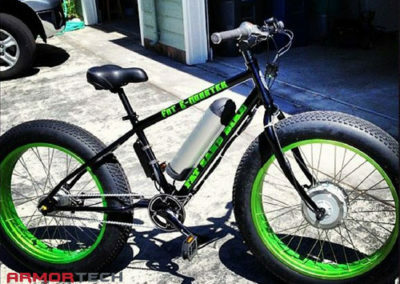 We powder coat custom bicycle frames, road bicycles, chopper bicycles, and fat beach bicycles. 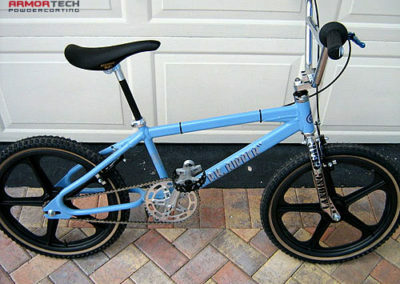 We powder coat between 5 and 15 bicycles a week!